• Simply twist your LED bulb onto the base, and twist the other end into your existing bulb socket. • Applicable to Most Auto Car Vehicle Automobile with 3157-B Socket. 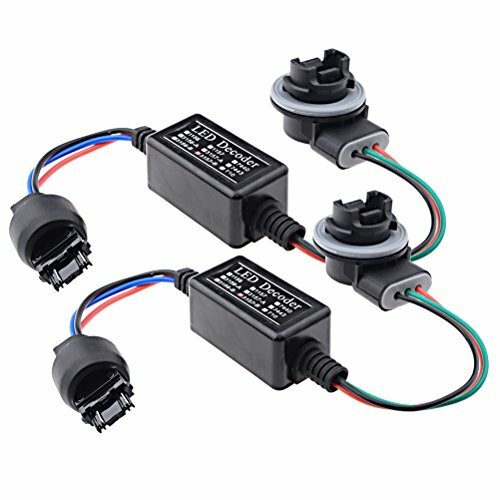 • This decoder will work for European vehicles such as Audi, BMW, Mercedes, Porsche, Volkswagen or domestic vehicles for fog lights and ensure the LED bulbs light up full power without malfunction issue nor flickering issue.